CarGurus has 6,370 nationwide ES 350 listings starting at $1,400. The 2012 Lexus ES 350's upscale cabin remains one of the best in its class, and its V6 engine runs on regular rather than premium fuel. 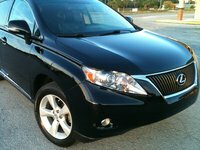 In design, ride and handling, the 2012 ES 350 leans more toward comfort than sportiness, so owners seeking a performance-oriented luxury vehicle may want to look at competitive vehicles from BMW and Audi, among others. The Lexus ES 350 luxury sedan treads water for 2012, receiving minimal updating as it awaits a complete redesign for 2013. 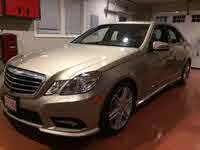 Prospective buyers who seek a well-equipped, luxurious and comfortable entry-level luxury sedan should definitely take a look at the ES 350, especially since the automaker may be offering special deals in anticipation of a redesigned version for 2013. On the flip side, those looking for some sportiness and excitement from a luxury sedan might find the ES 350 too sedate and may want to test-drive performance-oriented competitors, such as offerings from BMW, Audi and Cadillac. With a complete redesign due for 2013, the Lexus ES 350 luxury sedan remains unchanged for 2012. However, the automaker does add a special-edition ES 350 Touring package for 2012, which includes such features as heated and ventilated front seats, HD navigation, Saddle Tan leather upholstery, Brown Walnut wood trim and a wood-and-leather-trimmed steering wheel and shift knob. The ES 350 Touring Edition also includes 17-inch wheels with a Liquid Graphite finish. It's available in exclusive Stargazer Black or Starfire Pearl exterior colors. In addition, Lexus offers a new Nebula Gray Pearl exterior color for the base ES 350. Nearing the end of its fifth generation, the ES 350 comes in a single trim, powered by a 3.5-liter V6 engine. The ES 350 competes in the midsize luxury sedan segment, which includes such vehicles as the BMW 3 Series, the Audi A4, the Infiniti G37, the Mercedes-Benz C-Class, the Cadillac CTS and the Acura TL. 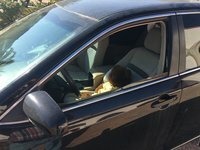 Most owners find the ES 350 a quiet, comfortable car, with a smooth ride and good handling, although some testers consider the ride a bit too soft and the handling too insulated from the road. The exterior design exudes quiet competence, but like the Camry on which it's based, the ES 350 displays a somewhat sedate look, with some reviewers even calling it bland. A chrome grille and arrowhead-shaped headlights help establish an attractive, slightly aggressive look out front, while minimal wheel arches and gentle curves along the sides, roof and rear help the vehicle glide quietly down the road. Foglights, heated side mirrors with integrated turn signals, chrome body side moldings and large taillights are among the exterior design features. In both its performance and its ride, the ES 350 leans more toward comfort than sportiness. A 3.5-liter, all-aluminum V6 engine tuned for smoothness and competence powers the front-wheel-drive ES 350. Drivers will find good acceleration from the V6, as well as plenty of power for passing at highway speeds. Still, the engine doesn't deliver the visceral excitement of the powerplants found in such competitors as the Audi A4 and BMW 3 Series. 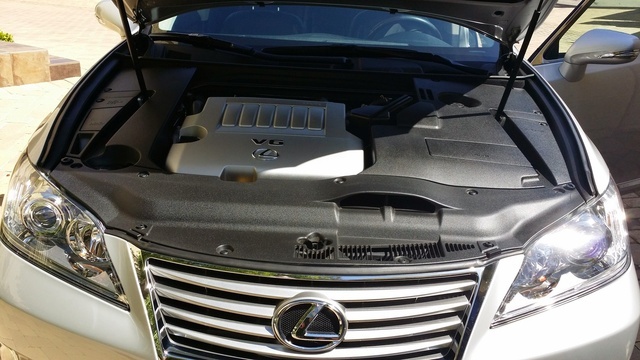 The V6, which runs on regular fuel, puts out 268 hp and 248 lb-ft of torque. It links to a 6-speed automatic Electronically Controlled Transmission with intelligence (ECT-i), which adjusts shift patterns to match the driver's style. Paired with the 6-speed automatic, the V6 pushes the ES 350 from 0-60 in just over 7 seconds, despite its nearly 4,000-pound curb weight. Fuel economy numbers check in at 19/28 mpg. Some testers have noted vibration from the engine while idling, but once it gets going, the 3.5-liter runs smoothly and quietly, even when pushed on the highway. Any reluctance to downshift can be addressed easily with the transmission's manual shift mode. Like the powerplant, the suspension emphasizes comfort over sportiness, and reflects the solidness and competence of the Camry, upon which the ES 350 is based. Passengers are isolated from road imperfections, although testers find the ride a little too soft and accommodating at times, with some wallow and body lean in corners. The handling likewise can feel a little numb at times, and some testers note a spongy feel in the brakes, although there's plenty of stopping power. The ES 350 rides on a 4-wheel independent suspension with MacPherson struts in front and a dual-link MacPherson strut-type setup in the rear. Speed-sensing power-assisted rack-and-pinion steering comes standard, along with power disc brakes and 17-inch aluminum-alloy wheels with all-season tires. Most reviewers agree that if you're looking for a luxury car with tight, sporty handling, there are probably better choices than the ES 350, such as the Acura TL or even the Buick LaCrosse. 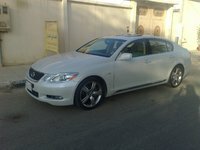 But if you seek a quiet, smooth ride that evens out road surfaces and cradles passengers, the ES 350 should appeal to you. The ES 350's comfortable, upscale cabin seats 5 passengers, with plenty of legroom in the front and rear, although taller passengers will find limited headroom in the rear seat. However, all seats are roomy and supportive. Most reviewers rate the ES 350's cabin at or near the top of its class, thanks in part to its padded surfaces and soft leather upholstery (available in three colors), singled out by many testers for its high-quality feel. Other standard features, including 10-way power-adjustable front seats, a power tilt/slide moonroof and polished brown walnut or espresso bird's-eye maple wood trim on the center console, glovebox and doors, help the ES 350 stand out from its competitors. Keyless entry and push-button start come standard, along with illuminated entry, illuminated cupholders and an auto-dimming rear-view mirror with a compass. The leather-wrapped steering wheel includes audio and cruise controls, as well as controls for a multi-information display, which provides readouts for outside temperature, driving range, fuel consumption and average speed. Controls on the dash are well laid out and easy to operate, and an Eco Driving indicator helps drivers operate the vehicle more efficiently. The dual-zone climate control includes rear-seat vents, and the AM/FM audio system comes with a 6-CD changer, SiriusXM satellite radio, a USB port and Bluetooth. Although some reviewers would like to see more interior storage spaces, the ES 350's trunk offers plenty of room to stow gear, with 14.7 cubic feet of storage space. Fold-down rear seats with a pass-through enable owners to transport longer objects. Available luxury options are extensive, although they can make the purchase price climb quickly. Owners can add such features as heated and ventilated front seats, upgraded leather upholstery, a panoramic sunroof, a 300-watt, 14-speaker Mark Levinson audio system and a Lexus Navigation System with a touchscreen, real-time traffic and a hard drive. Other available features include adaptive cruise control with pre-collision, adaptive xenon headlights, parking sensors, a back-up camera and the Lexus Enform telematics system. The IIHS awarded the 2012 Lexus ES 350 a top safety rating of Good for protecting passengers during frontal, side and rollover crashes, and a Marginal rating for protecting passengers during rear-end crashes. Similarly, the NHTSA gave the ES 350 a safety rating of 3 out of 5 stars, which breaks down to 4 out of 5 stars for protecting passengers during frontal and rollover crashes, and 2 stars for side crashes. The ES 350 comes standard with Vehicle Stability Control (VSC) and a traction control system, which integrate with the antilock braking system. Electronic brakeforce distribution and brake assist are also included. The VSC cut-off switch is useful if it becomes necessary to extricate the car from deep snow or other difficult conditions, such as mud or sand. Other standard safety features include automatic headlights, daytime running lights and 10 standard airbags, including front knee and side-curtain airbags. Many owners are opting for the 2012 ES 350, rather than waiting for the upcoming next-generation 2013 version, for a number of reasons. Many like the fact that it runs on regular fuel rather than premium gas, as previous versions did. Others like the cabin of the 2012 ES 350 better than the cabin of the 2013 version. In addition, some say that the final year of a specific generation are among the best cars available, since the automaker has worked out all the kinks and problems. Owners also cite overall value and good fuel economy as reasons they purchased the 2012 ES 350. On the flip side, some owners have reported experiencing certain issues with the 2012 ES 350. One owner reports that he's had problems with the exterior paint job, which easily displays scratches, while another says that the optional 18-inch wheels provide a noisier, less comfortable ride. He recommends sticking with the 17-inch standard wheels. Those issues appear to be isolated, however, and the majority of owners are impressed with their vehicles, with some calling the ES 350 the perfect luxury car. What's your take on the 2012 Lexus ES 350? 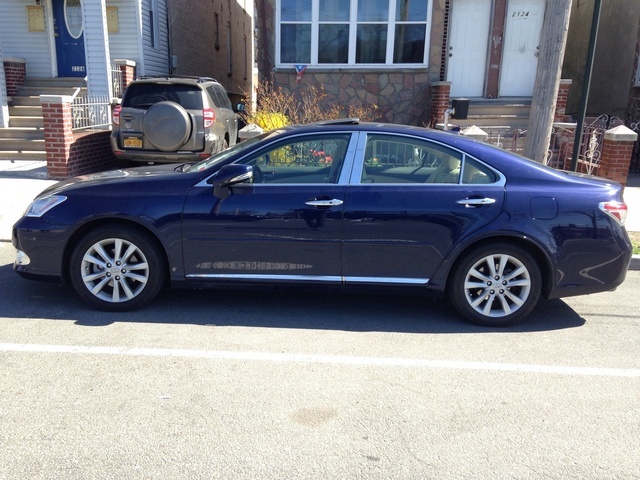 Have you driven a 2012 Lexus ES 350? What Are The Tire Size Requirements For The 2012 350 Es Lexus? I need to get new tires and would like to shop online and do not know the what the size requirements are?